God not only seeks after us, he desires relationship with us — i.e., he longs for us to seek after him and after matters that are important to him. 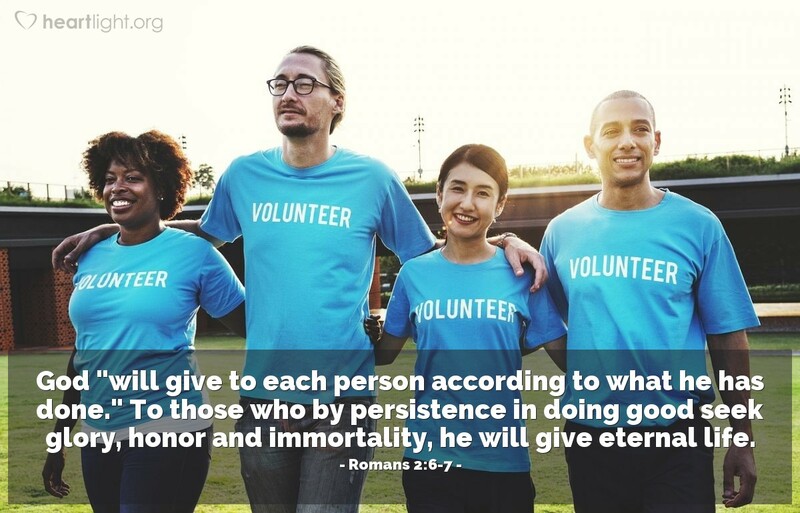 When we persistently seek his glory and honor by doing good, when we seek after eternal rather than temporal things, he is overjoyed to give us what he has always designed for us: eternal life with him. In other words, the seeking God is always looking for those seeking him! Abba Father, I thank you for loving me when I was lost and in sin. I thank you for not just loving me, but also seeking me by sending Jesus. Thank you for your justice that you met with your grace in your Son Jesus. I confess that I at times get distracted and upset with things that don't really matter very much. Please bless me as I seek to discipline my heart and focus my desires on eternal things. As I seek your glory and honor in the way I conduct my life, it is reassuring that your desire to bless me with eternal life is even greater still. In Jesus' precious name I pray. Amen.